Located in “The Signature City” of Palm Beach Gardens, this luxurious enclave features two-story townhomes with abundant premium features that will transform your daily life. Each home features a luxurious granite countertop kitchen with fully equipped G.E. energy efficient stainless steel appliances, standard covered lanais, wide brick paved driveways, as well as numerous custom upgrades available. 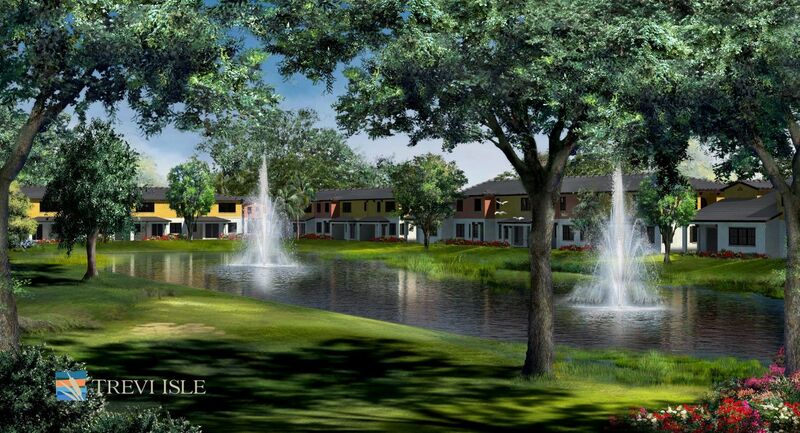 Trevi Isle offers 50 spacious townhomes with four distinct models to choose from. Each offers three to four bedrooms, with four available parking spots per unit. Upgrade to the lifestyle your deserve and live in the private paradise of your dreams.